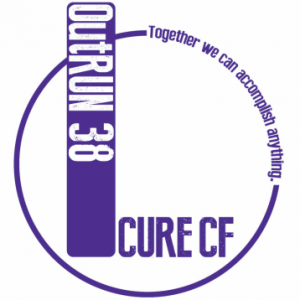 “OutRun 38,” a group of runners on Facebook, recently announced that they are close to completing 38,000 miles worth of running, thanks to the participation of runners from all over the world, in support of patients with Cystic Fibrosis. The initiative was developed by Nicole Burke, who was inspired by her childhood friend and cystic fibrosis patient Elizabeth “Liz” Shuman. During a running event last year, while Liz was talking to the father of a girl with CF, she recalled saying that she believed running had helped in keeping her healthy, in spite of the disease. This was the trigger for Nicole’s first miles. Nicole and Liz decided to run half of a marathon, but Liz couldn’t complete the race. Nicole ran for Liz and completed the team’s objective, as she explains on the OutRun38 website. After this first experience in running a marathon with the belief that running indeed can benefit cystic fibrosis patents, Nicole then decided it was a good idea to gather as many people as possible to participate in future Cystic Fibrosis-related running events. She created the Facebook group OutRun The Odds: “In less than 24 hours after I launched OutRUN The Odds on Facebook, in hopes of bringing runners together to show Liz the inspiration she is to SO many, more than 180 runners committed to running 3800 miles to celebrate Elizabeth’s 38th birthday. We’re running (and walking, swimming, biking) happy, sharing our miles, and encouraging others to run because they can,” Nicole writes. In about two weeks from, the group will have logged 38,000 miles in charitable running for cystic fibrosis. The next goal, to be announced in May during Cystic Fibrosis Awareness Month, is to run 380,000 miles. Both the names of the Facebook group (OutRun the Odds) and of the website (OutRun38) are inspired by Liz’ story. This year, she will turn 38 and will overcome the odds of the average life expectancy for people with Cystic Fibrosis, which is 37 years old. The reason why this group exists is simply to help people living with this disease, to enlighten people about it, and to raise financial support for research hoping to find a cure for it. Cystic Fibrosis is an inherited chronic disease that affects the lungs and the digestive system of about 70,000 people all over the world — 30,000 of which live in the United States alone. A defective gene causes the body to produce sticky mucus that stays in the lungs and causes infections. Other possible issues is the obstruction of the pancreas that enables the body to absorb and break down food. There is currently no cure for cystic fibrosis, but groups such as OutRun 38 are raising money and awareness to continue to advance drug development for improved treatments and an eventual cure.